The Forensic Science Division contracts with other agencies to provide forensic and investigative services. Forensic services are available to law enforcement agencies only. Fees to user agencies are offered through annual contracts or a pay per service option. The contract fees are offered with Option A which is full service, or Option B which includes all services with the exception of crime scene and photo lab. Toxicology services are not included with contract fees and are invoiced separately. These contract fees are based on the agencies 3 year prior history of use. Option C is a pay by the hour for those agencies that do not wish to enter into an annual contract. DNA Analysis - DNA analysis is not offered at an hourly rate. DNA Analysis will only be offered under the shared budget format of contract options A and B. The Photo Laboratory is all digital. We no longer process images to print format. Upon request, contract option A agencies and public agencies within Washoe County will receive a CD of case photographs free of charge. Additional CD’s are available at $25.00 per disc. For agencies with an option B or C contract there is a $25 per CD fee. Fees will be invoiced. Private entities may also request photographs. There is a $25 per CD fee. Payment is due at the time of the request for all private entities. Release of public records is governed by Nevada Revised Statute 239.010. According to Donrey of Nevada Inc. v Bradshaw laboratory reports are confidential records and require a court order before release to un-authorized personnel. Sexual Assault cases are confidential under NRS 200.377; NRS 200.3771; NRS 200.3772; NRS 200.3773 and NRS 41.1398. The existence of such records cannot be confirmed or denied. It is also the position of the Division that records in sexual assault cases would be deemed confidential under the balancing test set forth in Donrey of Nevada Inc v Bradshaw, 106 NEV.630,798 P.2d 144 (1990). Once the case work examination is completed, a report is released to the investigating law enforcement agency. The law enforcement agency is responsible for sending the laboratory report to the prosecution. Requests for case notes, calibration documents, or procedure manuals will be released via court order. Limited documentation may be released without a court order if an agreement exists between the prosecution and defense for the release of information and the request is deemed reasonable and not burdensome to the FSD staff. Court orders for records must have been filed with a Nevada court and the document must contain a court seal or filing date on the document. Copies of records provided to the defense attorney will also be provided to the prosecuting attorney. Request for case notes, calibration documents, or procedure manuals will be release upon request and per the fee schedule below. Fee Schedule - $100/hour will be charged for any time exceeding the first hour of document preparation or viewing, including administrative time. Discovery Processing: Generally, a basic discovery request for the case packet can be completed within one hour at no charge. The typical content of the discovery packet is a copy of the report; case notes; and an electronic chain of custody. Requests for control data, procedure manuals, equipment maintenance, or calibration information requires additional time and normally will take more than one hour of preparation. Requests for “Breath Test” packets can also be completed within one hour and no charge is incurred. Time processing discovery requests on the same case will be compounded and any time after the first hour will be charged accordingly. Voluminous Requests: Should the extent of the documentation requested be too “voluminous” to be practical, the FSD Director will determine what resources will be deployed to comply with the request. We offer the option to view the documents at the FSD. All document viewing must be escorted by a Division member as provided for in NRS 239.055. This section applies to all court proceedings outside of Washoe County regardless of the Law Enforcement Forensic Contract Option. The Forensic Science Division provides expert testimony for results of our own testing or crime scene investigation only. Expert testimony includes preparation time, travel time, waiting time, and testimony time outside the Washoe County area. 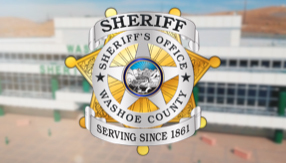 Travel expenses such as flights and lodging must be paid up front and not encumbered by a Washoe County Sheriff’s Office employee. Sheriff’s Office vehicles will not always be available for travel for long distances and it will be the requestor’s responsibility to arrange for flights. In the event that video or phone testimony can be utilized there will be no charges for testimony. *A minimum charge of $25 for document processing, evidence handling and storage will be billed for any Blood or Urine kit submitted to the lab. Drug Facilitated Sexual Assault Testing (Contact the laboratory for current pricing) Drug facilitated sexual assault cases will be sent to a contracted laboratory or to a laboratory of your choice.